If you haven’t heard, ’80s fashion is *SO* in. 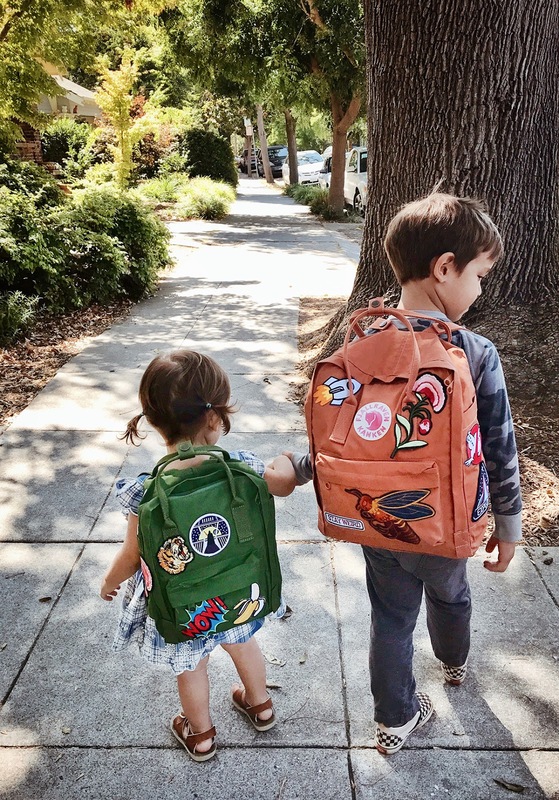 While there are definitely some trends that should stay in that decade, I’m all in for other looks like graphic sweatshirts and holographic apparel. 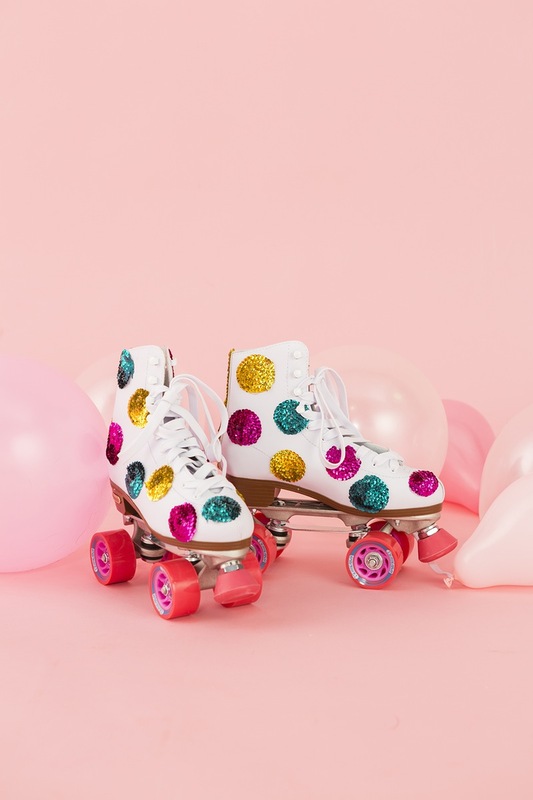 When I brainstormed what I should do for this shoot, I looked up ’80s fashion and saw this awesome roller skating photo, and it was like a light when on! 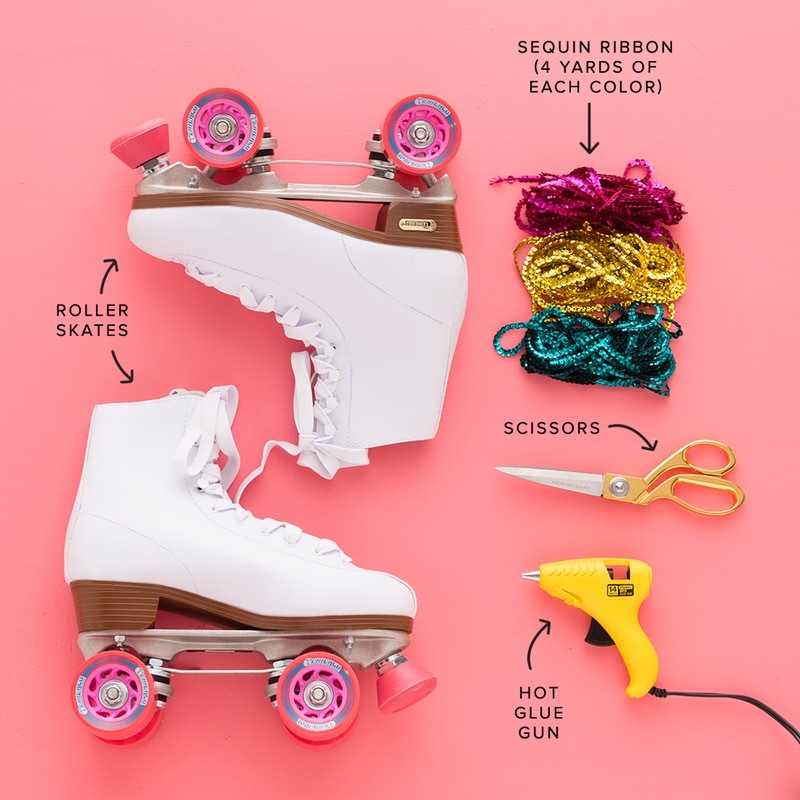 I wanted - no, I needed to DIY roller skates. 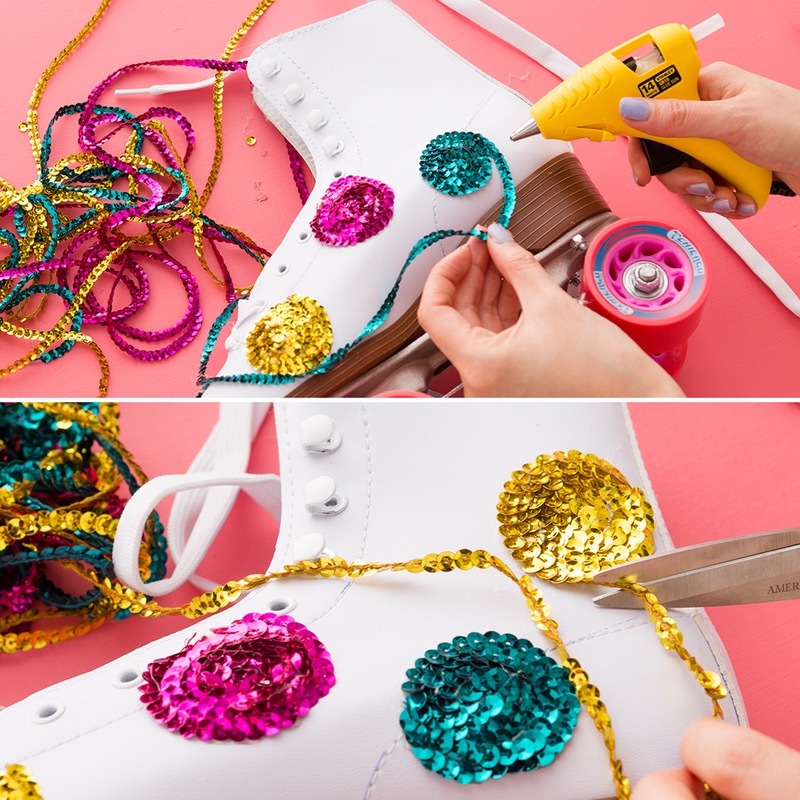 Decorating your roller skates with sequin polka dots is really simple. Depending on how many dots you do, you can definitely finish this DIY in a couple of hours or less. 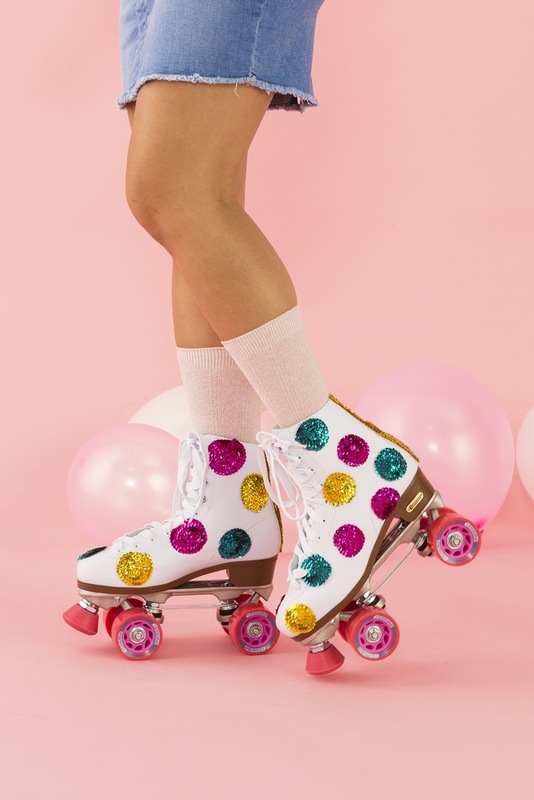 All you need then are knee socks, and boom - you’re a roller girl! Unlace skates. 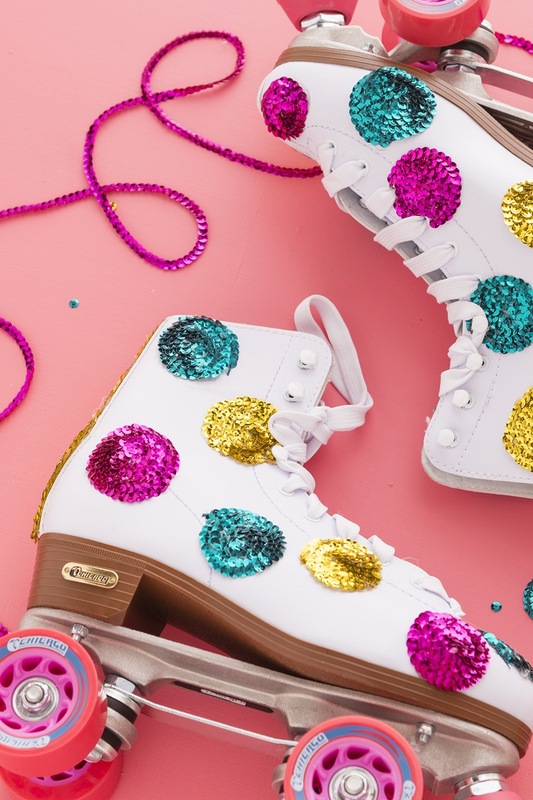 Glue sequins on roller skates in a circle. Life’s too short to not roller skate.